Join members of the CS History Group for a guided tour of Ifield Watermill on Saturday 5 September starting at the Mill at 2.30pm. The watermill dates back to Roman times when the streams that feed the mill provided water for the iron industry. During the Middle Ages iron was a very important industry in the Weald of Sussex. 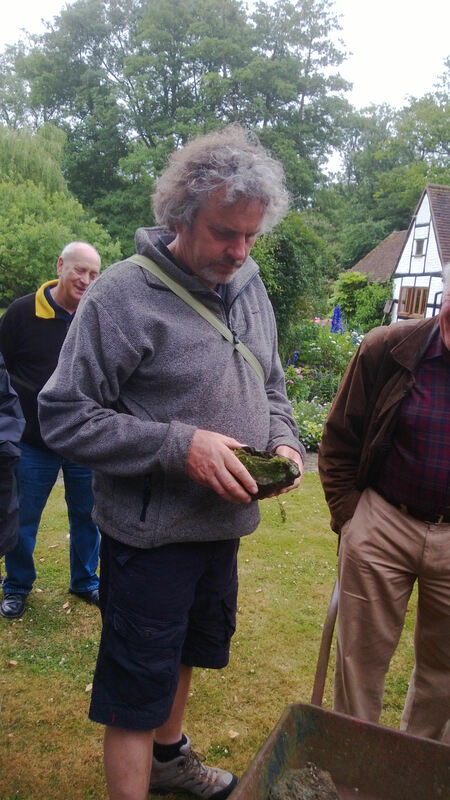 Rich seams of iron ore were found in the High Weald and at Ifield there were several iron furnaces and forges. Ifield Mill was a forge where water powered a wheel to work a large hammer which beat heated iron bars and then sold on to the blacksmiths in the area. After Oliver Cromwell closed down the Wealden Iron Industry in the mid 1600’s, the iron mill was closed down. After several years a wood built flour mill was erected in its place. As the demand for flour increased this mill was replaced by a mill of brick and wood construction. This, in turn, was replaced in 1817 by the present mill building. Ifield Watermill finally closed down in 1927. Following several uses, such as stabling and general storage, it became dilapidated and the milling equipment was either removed or became unusable. 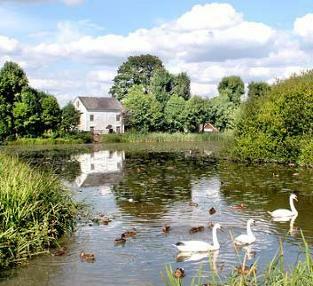 In 1973 Crawley Borough Council purchased the mill, the mill ponds and the surrounding land to become a leisure area for the public and a group of volunteers began restoration of the mill in the following year. The restoration work is still continuing and the mill has recently been dredged and work on the restyled millpond is now completed. We will aim to meet there shortly before 2.30pm and although there is no charge for the tour we would ask everyone to make a donation. Please email christine.sargent@hotmail.com if you would like a place. Places are limited to 30 so we will allocate these on a first come basis. The visit will take no more than 2 hours. 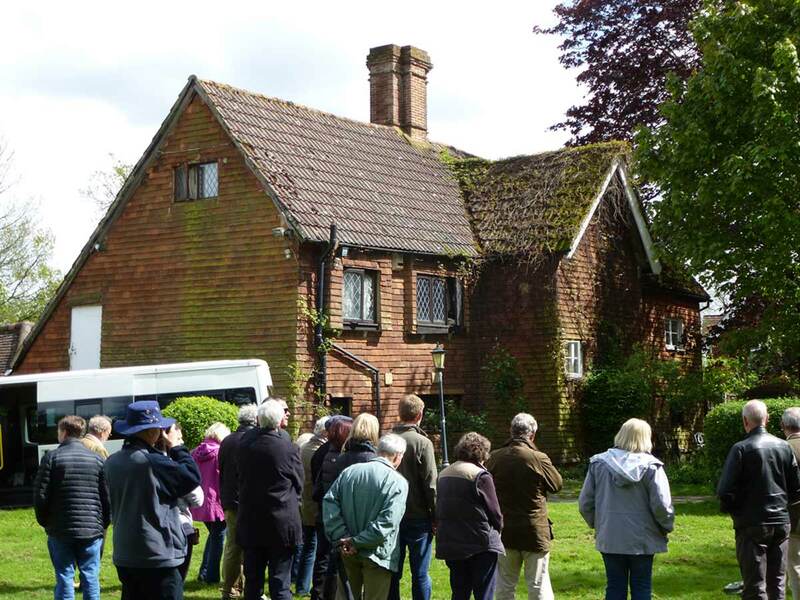 On Saturday 26 April 2014 the Charlwood Society History Group visited a number of fine historic buildings which would be demolished if a new runway were to be built at Gatwick. 40 members of the Society packed into three mini-buses for a tour of the area where a new runway is planned. According to Gatwick Airport eighteen listed buildings would need to be demolished. That includes five buildings listed by English Heritage as ‘Grade 2 star’ which puts them among the 6% most important historic buildings in England. Charlwood House, a magnificent Elizabethan building. 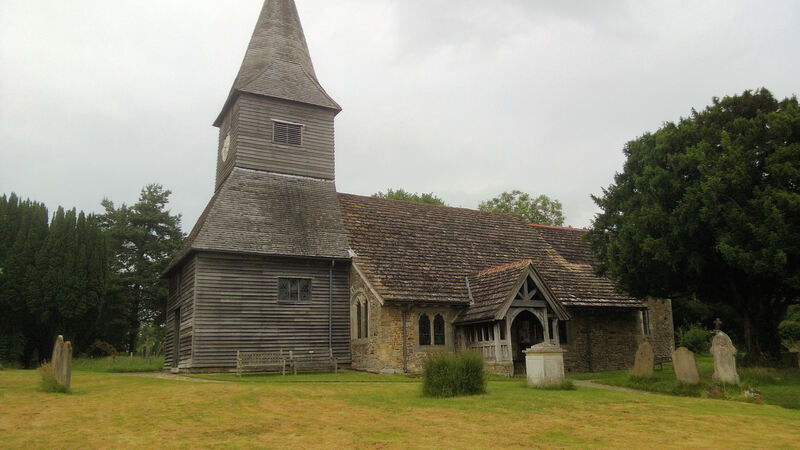 Rowley, dating from around 1200, and owned at one time by the Culpeper family whose grand-daughter Catherine Howard, fifth wife of Henry VIII, was executed when she had an affair with her cousin Thomas Culpeper. The Beehive – the first Gatwick terminal built in 1936 when the aerodrome had grass runways. ‘It is ironic that this airport building now listed as of great historic interest would be destroyed by a new runway,’ said Patrick Cox. 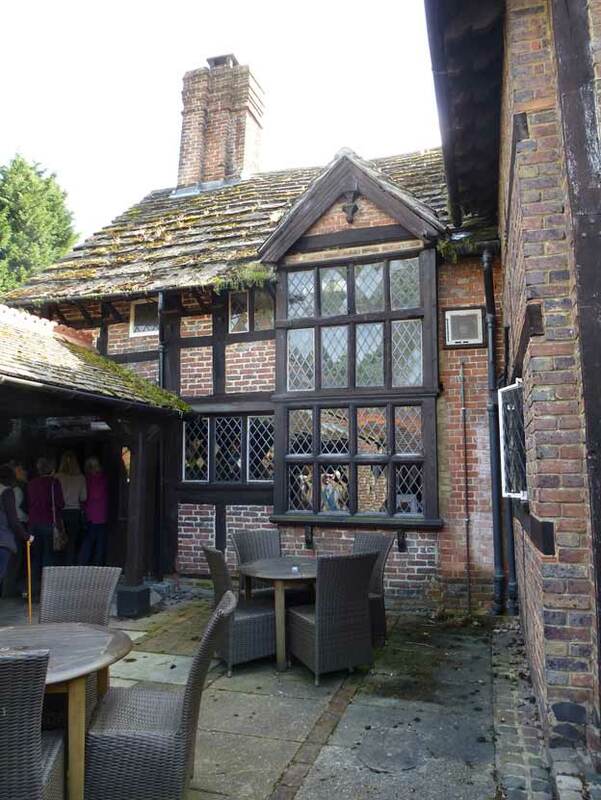 Hyders, now renamed the Gatwick Manor Inn, recorded as the home of Richard ate Hyde in 1263. 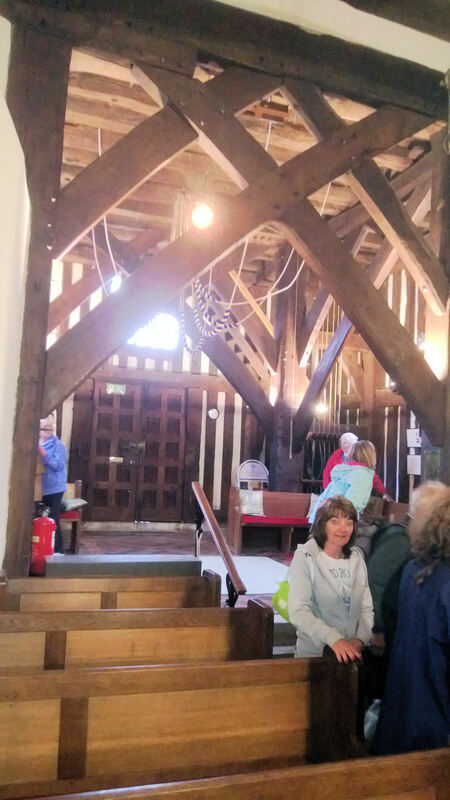 During a break for tea, the History Group were able to admire the open hall built in the days before chimneys were invented. The church of St Michael and All Angels. Now sadly surrounded by warehouses and radar masts, the church is all that remains of the village of Lowfield Heath demolished in 1974. Photos of the group at all the above houses are attached. All the buildings were in the Parish of Charlwood until a boundary change in 1974 moved them into Crawley. 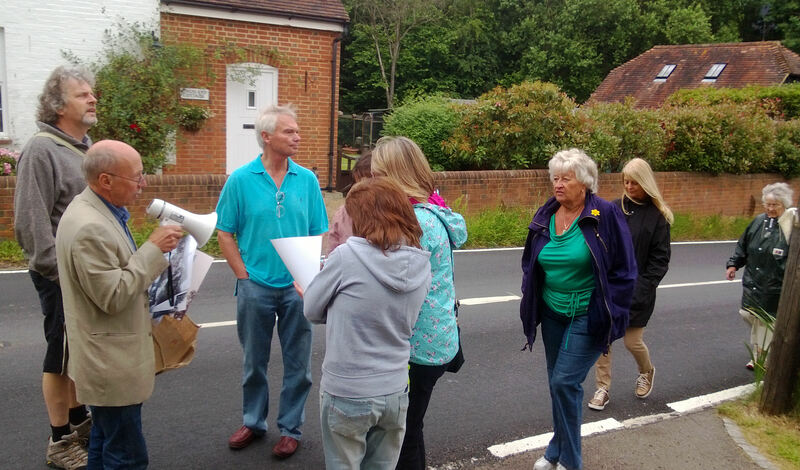 The tour was led by local history enthusiast, Brendon Sewill who, as Chairman of GACC, is leading the campaign against a new runway. 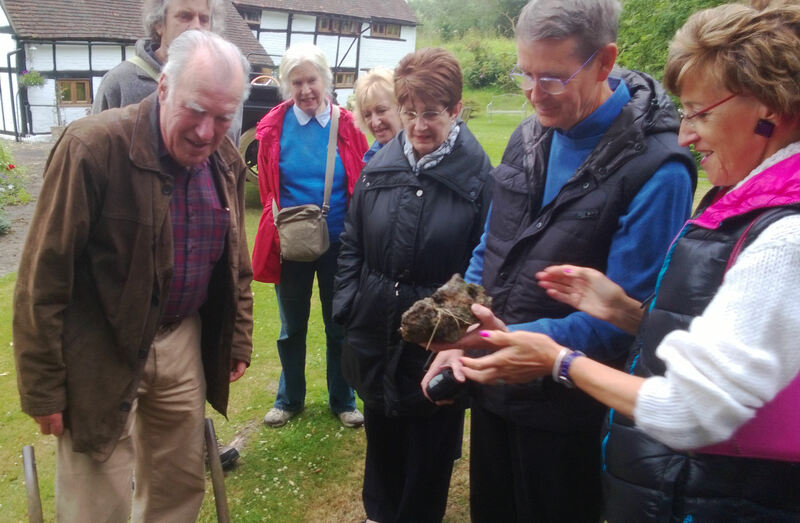 Henry Smith, MP for Crawley, joined the party for part of the tour. 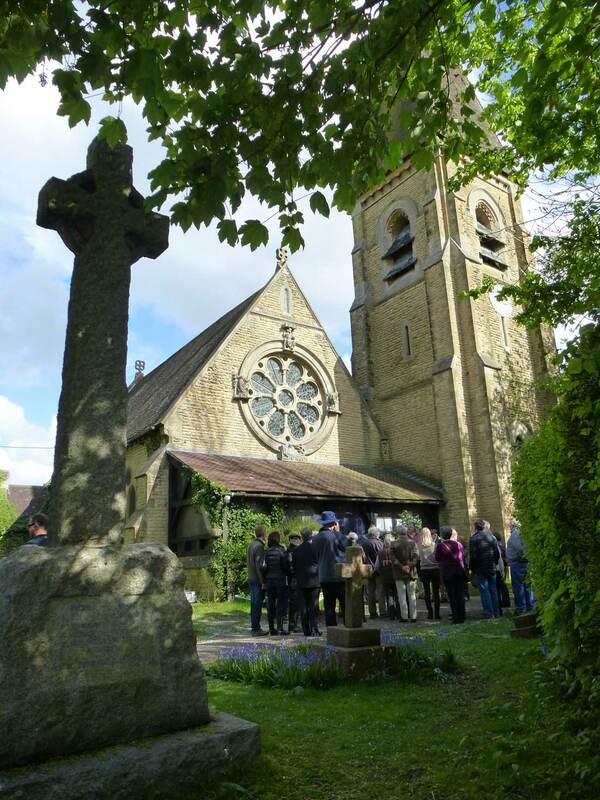 The Charlwood Society History Group is organising a car/mini bus tour on the afternoon of Saturday 26 April of some of the historic houses and the church on the southern side of Gatwick. These buildings, which used to be in Charlwood Parish, are now at risk of demolition if a new runway were to be built. We will only be looking at most of the buildings from the outside but they are all fascinating and we will have tea en-route. We need to confirm numbers before deciding whether to hire mini-buses or to travel in our own cars. Therefore, please let Christine Sargentchristine.sargent@hotmail.com know as soon as possible if you wish to come along. 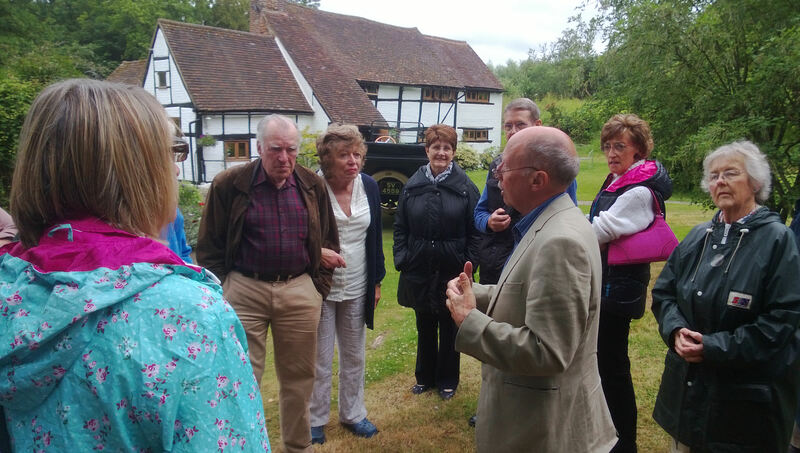 On Tuesday 2 July, 25 2013 members of the Charlwood History Group were given a guided tour around Newdigate. The renowned historian, John Calcut led the group round many of the historical sites in the village. 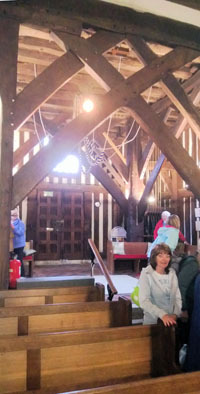 Starting in the picturesque St Peters Church in the centre of the village, the group were shown the colossal oak beams that have supported the tower and the six bells since the 15th century. 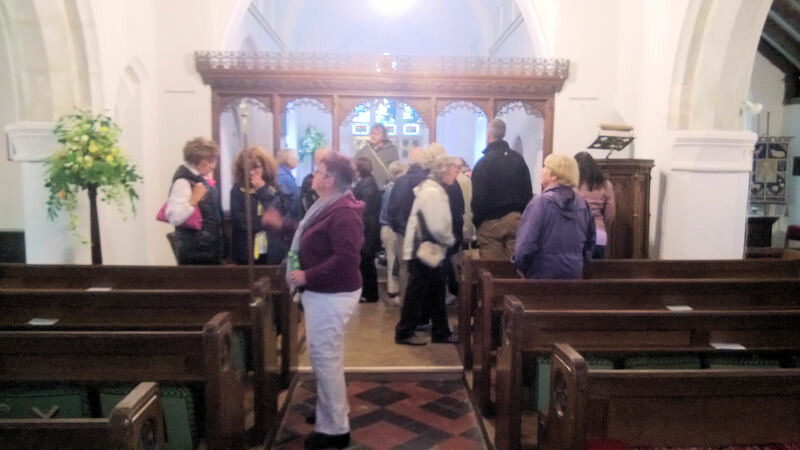 The church also has many wooden carvings made by local craftsmen during the 19th century.Leaving the church, the group toured the village stopping at a number of medieval timber framed buildings. 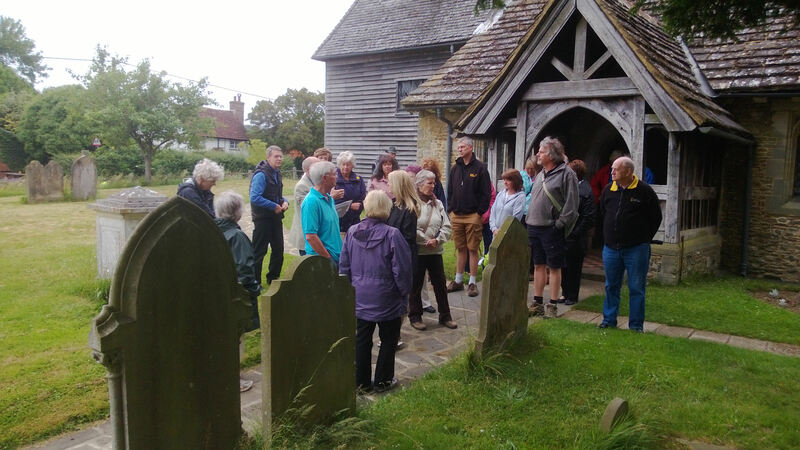 Starting at Village St, the group made their way up Kingsland stopping off at a number of medieval buildings before getting to Kingsland farm where there used to be a brewery. 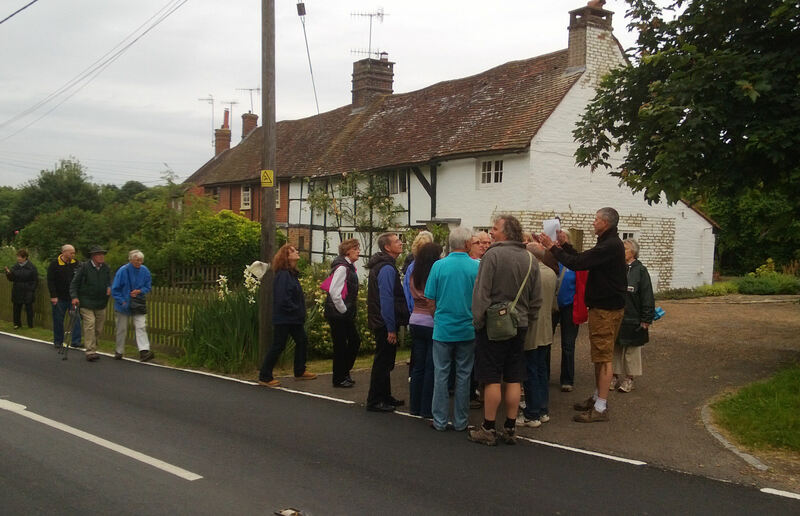 After the walk as a special treat, the group were taken up to Mill Cottage which was close to the site of the old iron works. Although the iron industry which employed many people in Newdigate and brought prosperity to Newdigate, is now long gone, the remains are still very evident and we were shown some of the slag that has been found in the vacinity. 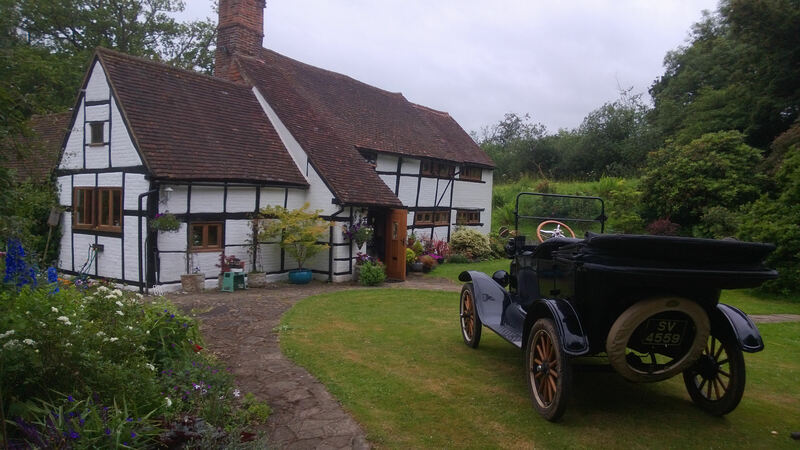 We were made very welcome by the owners of Mill Cottage which made the visit most enjoyable. The evening was pleasantly rounded off with an excellent meal at the Six Bells. 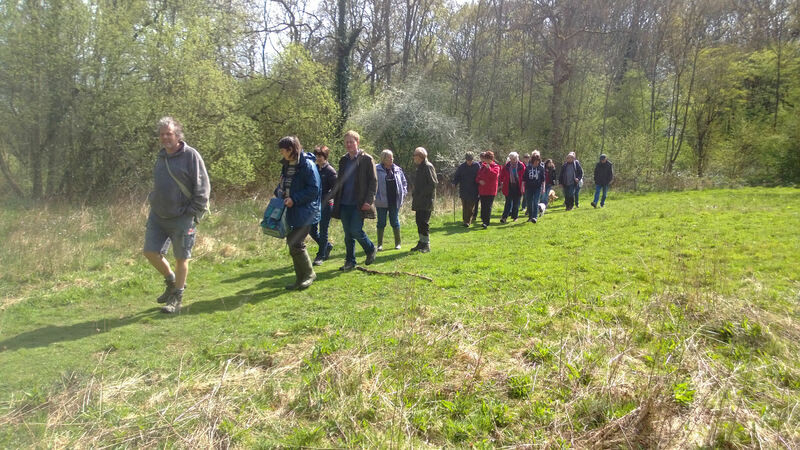 On Saturday afternoon, we were treated to a guided walk through Edolph’s Copse by John Shelley and Hilary Sewill. What an amazing array of bluebells, primroses and even an early spotted leaf orchid greeted us. The fragrance was breath-taking. We discovered the history of the wood and its various uses (some rather dubious) over time. At one time it was used to store and renovate the Lowfield Heath Windmill. Edolph’s Copse was finally bought by the Woodlands Trust. 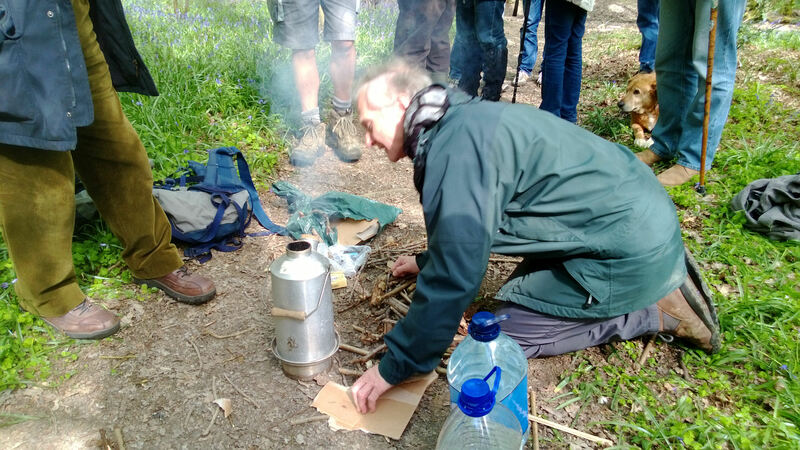 John provided tea and coffee and proved that “he liked playing with fire”, boiling water in his famous kettle. A thoroughly enjoyable afternoon was had by both walkers and their dogs.